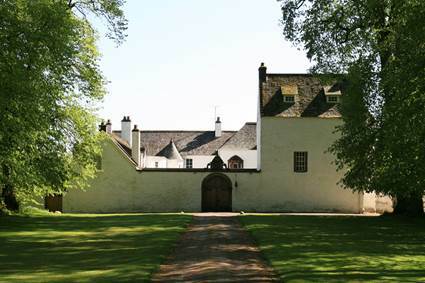 Ardblair Castle is a fine example of a courtyard castle, and probably dates from the late 16th century. The present castle stands on a ridge of high ground rising from the Moss of Ardblair, and replaced an earlier castle which itself was built on the site of an old fort. When the first castle was built, possibly in the thirteenth century, the rocky outcrop on which it stood was a promontory jutting out into a loch, so that the castle was surrounded on three sides by water. At the base of the current castle some of the bedrock can be seen at the north-west corner. 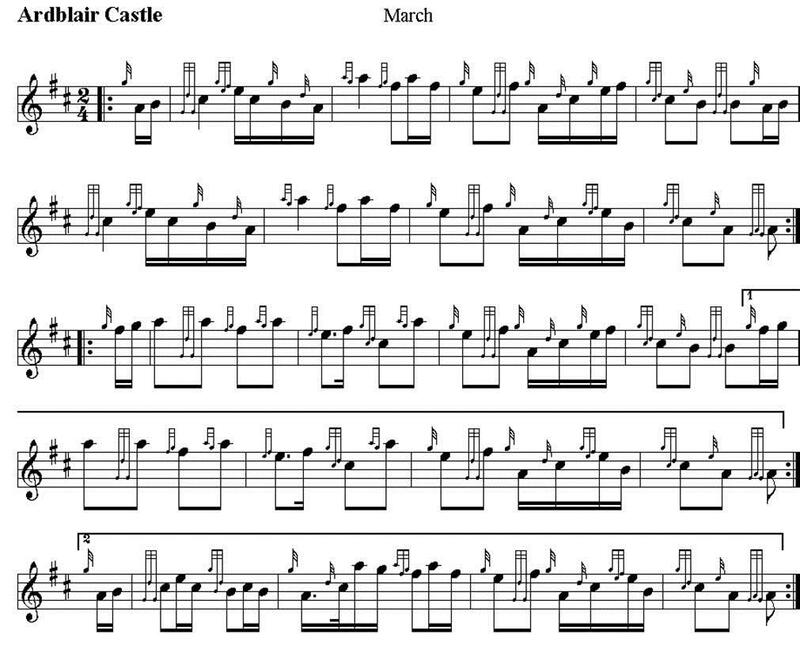 Who built the castle is unclear, although old charters show that a Stephani de Blare, or Stephen de Blair, owned land in the parish of Blair in Gowrie (ie the parish of Blairgowrie) in the late 12th century. He is recorded as having granted the lands of Lethcassy (now Carsie) to the monks of Coupar Angus abbey sometime between 1191 and 1198. Carsie is a neighboring property to Ardblair, so it is tempting to speculate that Stephen (or one of his ancestors) was responsible for building the first castle. Ardblair is specifically mentioned in 1399, when it was granted to Thomas Blair of Balthayock during the reign of Robert III. At that time the Ardblair estate was extensive, making up one fifth of the parish of Blairgowrie. 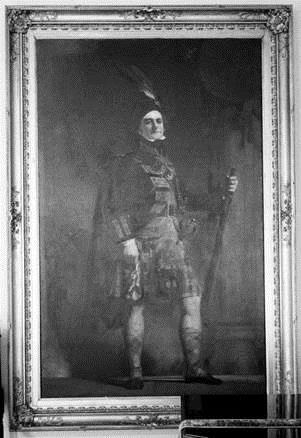 He has been described as the first Blair of Ardblair, however it does seem that the Blairs possessed Ardblair prior to him. The original castle is said to have stood at the north-west corner of the current courtyard, where the later castle now stands. At some point in the late 16th century an L-plan tower house was built on the footings of the old castle. Rising to a height of three stories plus an attic, the ground floor is vaulted and originally consisted of store rooms. In the 17th century the castle was evidently extended, with the addition of a low wing projecting east from the lesser wing. At the east end of this new building is a further range of offices extending north, forming three sides of a courtyard. A wall connects the old and the new parts of the castle on the north side, and an arched gateway gives access to the courtyard within. Above the arch, on top of the wall, is a carved pediment with coat of arms carrying the date 1668. The male line of the Blairs of Ardblair failed in 1770 upon the death of James Blair, who left two daughters, Margaret and Rachel. Margaret succeeded her father, but died childless in 1802 and Ardblair passed to Rachel’s daughter, Christian Robertson. In 1795 Christian married Laurence Oliphant, 8th of Gask, and their second son was given the name James Blair Oliphant, succeeding to Ardblair in 1829. Ardblair Castle is still owned by the Blair Oliphant family, and is the seat of Oliphant of Gask.